Late last week, rapper Nipsey Hussle shared a unique sales model for his new mixtape Crenshaw. For those who don't remember, Nipsey's hustle was the sale of his new CD for $100 a pop. A bit surprisingly, then, when Nipsey released the mixtape yesterday (October 8), the rapper said he'd already made $100,000 from CD sales. But now we're learning that he had a whole lot of help from rap mogul Jay Z.
Hova, who himself fudged sales numbers with a bizarre Samsung Galaxy release model on his Magna Carta Holy Grail album earlier this year, allegedly purchased 100 copies of the CD. But there's no word on whether he spent the full $100, thereby forking over a cool 10 Gs to Nipsey, or if he got some sort of industry insider bargain. Either way, he posted a picture of his stack of Nipsey CDs on his blog with his common statement "#NewRules," which, we're beginning to understand, means utilizing gimmicks and throwing money around to create the illusion of record sales. 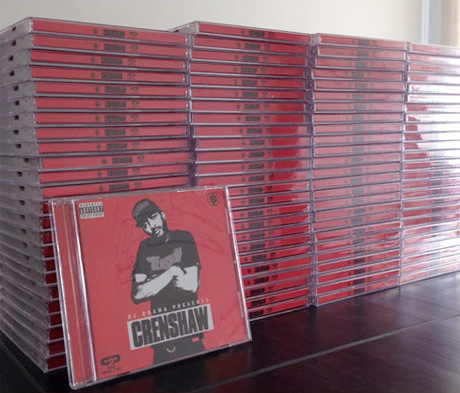 If you don't have a crisp hundred dollar bill to fork out for a CD, you can stream/download Crenshaw in its entirety below.